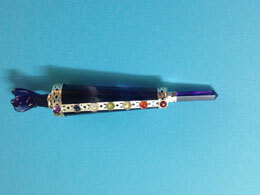 Beautifully designed and handcrafted angel wands made in rose quartz, amethyst and Quartz crystal. These wands have angels on the top. They are a perfect tool to heal any ailment. They help in attaining physical and emotional balance. They also help in healing of ones aura.